The adage "No hoof, no horse" is true for any equine but especially true for sport horses who need to perform at a very high level of athletic intensity. Without sound feet and legs, your sport horse's talents will go unused. The first and most basic step in hoof care is one that is often neglected. You need to start by picking out your horse's hooves at least twice daily. The minimum times are right before you ride and after you ride. Small stones caught in along the frog, sole bruises that aren't noticed right away, and any smell or sign of thrush can all mean trouble ahead for your horse. Healthy feet, especially of horses that live in a barn, requires clean and thrush free feet. Pick the feet out every day and brush the sole off to check for any bruising. While you are picking out the hooves, run your hands over your horse's legs. Since horses have two front legs and two rear legs, you have built-in comparisons. Feel carefully for any heat differential, swelling, or areas of tenderness. Feel the hooves for heat differentials and check the pulses. Caught early on, many lamenesses can be resolved fairly quickly. Left unchecked, the damage tends to increase. You should be on a first name basis with your farrier as well as your veterinarian. Plan your farrier appointments carefully. For an open jumper, an extra 1/4 inch of hoof could mean the difference between a clean round and a bar down. For horses with healthy hoof growth, that may mean trimming and resetting shoes as often as every four to five weeks. Learn how to safely remove a loose or twisted shoe. Your farrier can show you - cutting the clinches and removing the shoe carefully may preserve most of the hoof. Left to be torn off on its own, a shoe may remove a good-sized chunk of hoof wall. A skilled farrier can help a horse that over-reaches and improve breakover. A farrier with an interest in sport horses will be knowledgeable about different pads and sole cushions. He/she will adjust your horse's shoes for a custom fit, compensating for heel problems, flat soles, and slightly off angles as needed. Never skimp on your blacksmith! 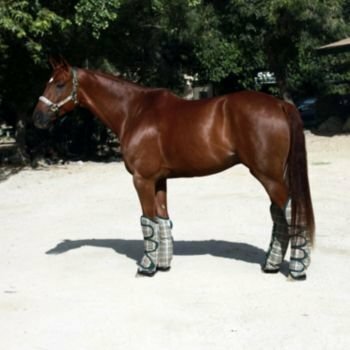 An alternative to horse shoes is to use horse boots. These cover the sole and heel bulbs, acting as a "shoe" to protect your horse's feet. Think of them as a step in between having your horse go barefoot and being shod conventionally. Rugged, but temporary, horse boots have become increasingly popular with some riders. Put them on when you ride, then take them off! Boots are becoming popular among endurance riders. Before putting a boot on, be sure that your horse's lower leg and hoof are clean. Anything left under the boot could irritate sensitive tissues. Clean boots after each ride. Boots may need to be custom-fitted. Your blacksmith may offer that service. Your horse will still need regular trimmings. Note that most boots are not intended for wear 24/7. They should be removed after work and the horse left barefoot in his stall or pasture. One of the best things for your horse's leg and hoof health is turnout on a good pasture. Nutritionally, fresh grass is ideal for overall equine health. Being out on pasture also means your horse will exercise freely on the footing horses were made for. It is much less stressful (both physically and mentally) for your sport horse to spend a couple of hours out on pasture every day as opposed to simply standing in a stall or being worked on artificial surfaces. New surfaces that are designed to improve traction can be tough on your horse's legs. Sand and polymer mixes may improve traction (and safety in some ways) but, over the long term, may increase wear and tear on ligaments and tendons. When setting up turnout areas and pastures, try to avoid spots with water pooling or chronically muddy sections. 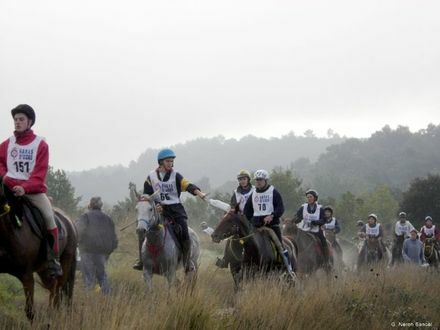 Muddy areas can lead to sprains and strains. Frequent cycles of wet and dry can be tough on your horse's hooves. Hosing down may be needed for leg health but be aware of the cycle's effects on hoof walls and soles. Use hoof dressings as needed. Protects the entire lower leg, from coronary to knee or hock. Having dealt with living conditions, you need to consider equipment to assist your sport horse in a long and active working life. Start with the basics again. 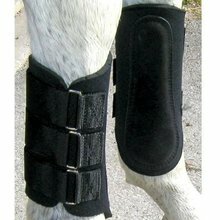 Any time your horse steps into a trailer or van, his legs and hooves need to be protected. A sudden shift due to traffic can cause a horse to step on himself, damaging the all-important coronary band. If the trailer is involved in an accident, excellent support wraps may keep his legs intact. Always bandage down far enough to cover the heel bulbs and coronary band for shipping. You can use ready-made shipping boots or do your own wraps with padding and roll wraps. Bell boots can be added for extra shipping safety. Protects the heel bulbs and coronary band. Also may add attention drawing color that shows off leg action. When riding, bell boots are often used to protect the sensitive coronary band from injury - especially if you are jumping or working a horse who tends to over-reach. Make sure the bell boots fit comfortably and clean them after each use. Bell boots are also designed to protect the back of the horse's heel. When galloping, some horses may overreach. When this happens, the back hoofs strike the heel or heel bulbs of the front feet, leading to injury. Lower leg protection of the splint bones, cannon bone and tendons. 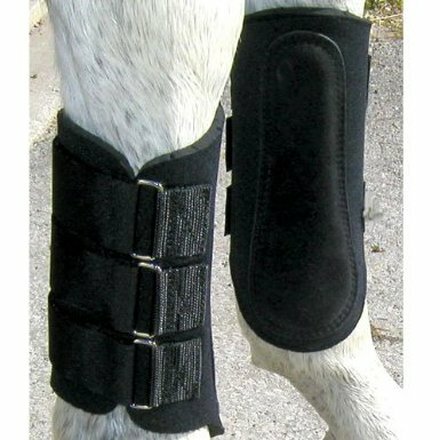 Support wraps are also commonly used when working horses to support ligaments and tendons in the lower leg. This is another case where you can purchase ready-made support wraps or do your own. Always take time putting on wraps to be sure they are comfortable and not tied too tightly. They must be tight enough to stay on while working though. Velcro has replaced ties in most cases, but check for comfort. Be sure the legs are clean and medication-free (unless veterinary supervised) before wrapping. In addition to providing support while your horse is being worked, wraps can also be used for some therapy. 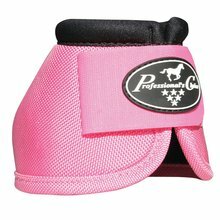 Most commonly, ice or cool wraps are used after work for a horse who tends to get sore. These wraps should only be used under supervision and not left on for long periods of time without being checked. Remember, your horse's legs are the key to your continued riding, showing, and competing. Take the time to keep those legs and hooves in tiptop shape. Resource: "Farriery for the Sport Horse - Principles and Techniques" 2010 Proceedings of the AAEP. Deb M. Eldredge, DVM is a Cornell graduate and horse lover from early childhood. She was active in 4-H and Pony Club, riding mostly huntseat but also Western. She has competed in various horse show venues as well as competitive trail rides and small three day events. At Cornell she was a member of the Women's Polo team. Dr. Eldredge is a national award winning writer from both the Cat Writers Association and the Dog Writers Association of America. She lives in upstate NY on a small farm with 3 elderly horses, 1 miniature horse and 2 donkeys as well as various other animals.